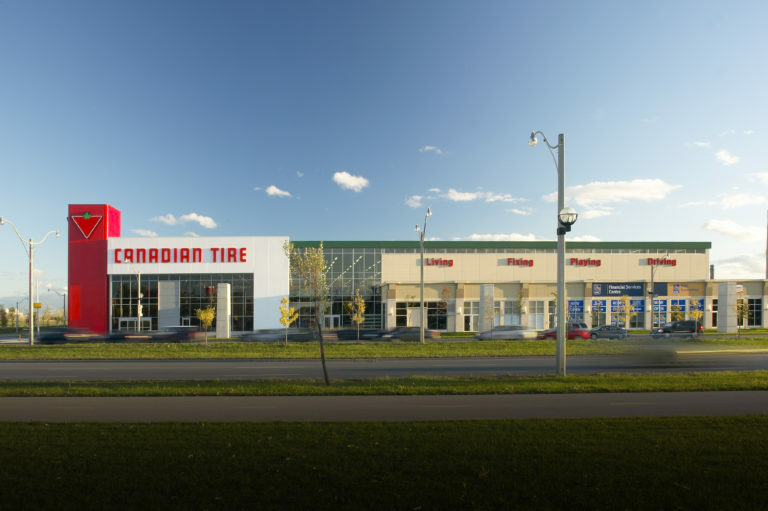 Turner Fleischer is proud of its long-standing working relationship with Canadian Tire. Our work on their roll-out and architectural program across the country adds to the brand’s consistency and customer experience. 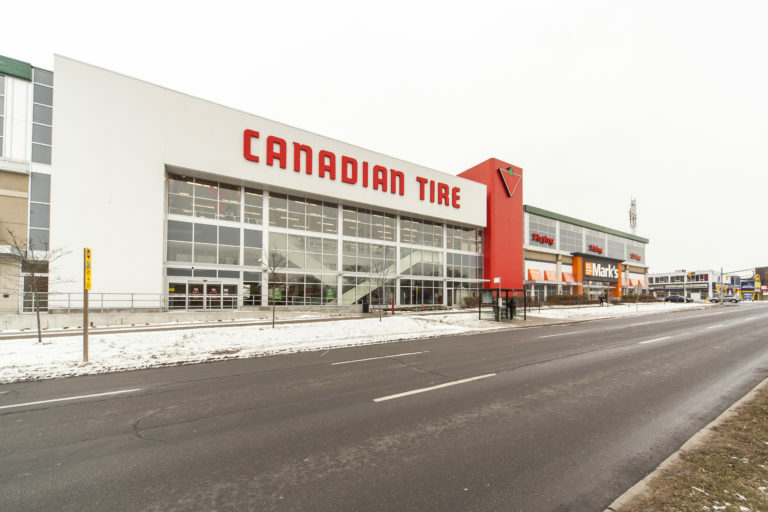 The Canadian Tire retail portfolio is varied and widespread, with locations from Coast to Coast and in very different site contexts, from rural, suburban to urban. Turner Fleischer was tasked with helping to unify their stores and provide architectural services for new and existing locations. An example of TF’s work is with the flagship location on Lakeshore Ave. in Toronto. This new multi-level, urban, large format store, and associated parking and loading facilities is situated on a large corner site with a view to the city’s downtown skyline. Requiring close adherence to the City’s design visions, the project had the additional challenge to transform a former industrial area into a mixed-use and recreational hub. By manipulating the design program to create a strong street edge of retail presence, Turner Fleischer reduced the length of the approvals process and this development is not only a success for the client, but a catalyst for change in the area. 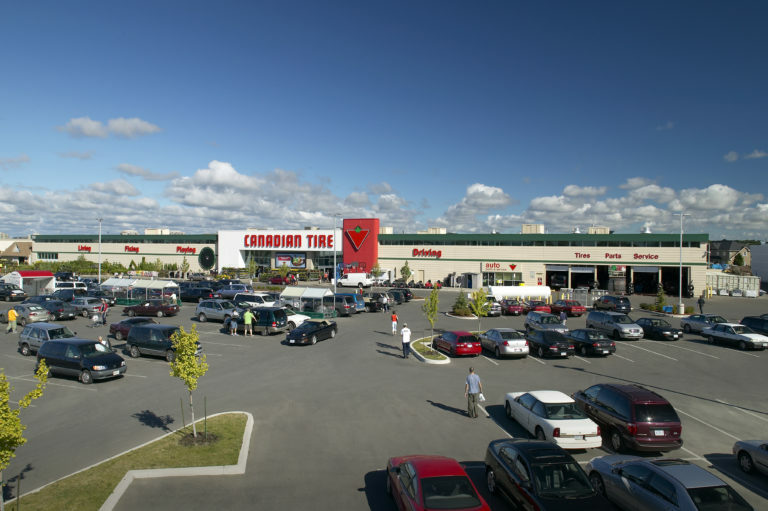 Other locations, such as Ottawa, have very different considerations, such as creating brand consistency on a compact urban site that integrates a new large format urban Canadian Tire Store with a Service Centre, a Mark’s Work Warehouse and other retail tenants and parking. As a national retailer, project work had to be consistent across the country, such a Vancouver location which was designed to meet LEED Silver, and incorporates sustainable features and public art installations. Meeting the challenges of a unified experience across Canada meant other unique stores, such as the Port Coquitlam site, which Integrated a full size Canadian Tire store into a mixed-use development, in Fremont Village. This store needed to blend into the aesthetics of the community and this involved extensively modifying the CT prototype drawings to reflect and encompass site specific requirements. 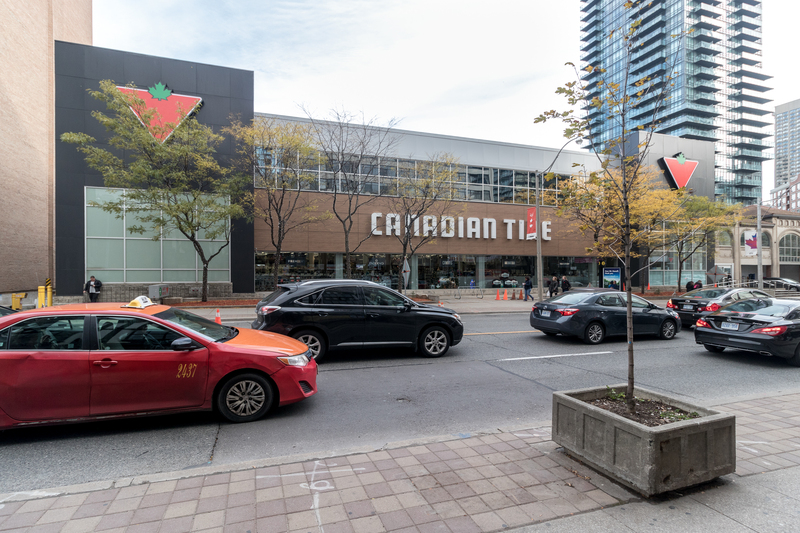 The choice of architectural accents and the vibrant use of landscaping have made this new Canadian Tire a showpiece befitting one of the anchor stores of this appealing and environmentally friendly retail destination. Context specific modifications and the interesting requirement of unifying the customer experience across varying locations is further exemplified in the Yonge Street downtown Toronto location. The expansion and renovation to this existing store included the preservation of the building’s historical façade with its iconic entryway, and the introduction of a new multi-level parking structure concealed behind.